Why should I hire a petsitter? Pets are always happier in their own environment. Exposure to things such as kennel cough in a kennel environment is minimized. Their daily routine remains the same. No stress for your pet traveling especially if they don’t like the car. You don’t have to depend on a neighbor or friend who may or may not forget your pet. Your pet will be there ready to greet you when you get home! This is our job, you are on our schedule so they will get taken care of – not forgotten. Yes, we are bonded and insured. Yes, we do, just ask and we will be happy to provide them, just ask us. What is the difference between you and other petsitters? 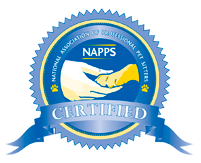 We strive to provide personalized care for you and your pets. There is no one size fits all, so we tailor all our visits to exactly what you and your pet needs are. We also believe in QUALITY, not quantity. A lot of pet sitters nowadays take 3- 10 dogs and take them to the park and just hang out- we don’t – we get to know your pets and take the care to get your pets the exercise and play that you are expecting. We do one family at a time that way we can give your pet (s) the individual attention that they need and deserve. Will you come to my house and meet me and my pets? Yes, before we do any service we set up a meet and greet at no charge where we come over to your home and meet you and your pet(s). That way we can set up a schedule that is specialized just for your pets needs. What do you do with my keys? When they are not in use we code them and store them in a safe. If you choose to get them back we then charge a $10 pick up fee the next time you use us. We care for cats and dogs. My cat goes outside, will you let them out? No. The reason being is we are there for a limited time and we cannot guarantee that your cat will come to us when called. There are many things that can happen to your cat while outside. Our goal is to make sure your pet is safe while you are away. Can you visit my cat every other day? No, we will not do every other day. Cats even though they are better at being alone still need human attention as well as making sure that they are ok and healthy. My pet is taking medication, can you give medication to my pet? YES! We can keep them on their meds whether it is oral, insulin shots or sub Q. Is there an extra charge for holidays? Yes, there is a $10.00 fee per visit that falls on a holiday. We feel that since our sitters are out on the holiday they deserve a little extra for it. Holidays include Easter, 4th of July, Memorial Day, Thanksgiving, Christmas Eve, Christmas, New Year’s Eve, New Year’s day. 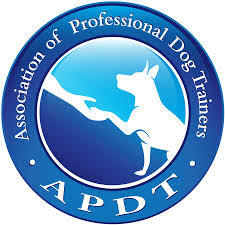 As in most service industries tips are greatly appreciated as an extra thanks to your pet sitter. 100 % of your tip goes to the petsitter.